Through a flurry of tweets recently, senior IPS officer Bhaskar Rao, affirmed that e-autos were the way forward to combat pollution and address the issue of last mile connectivity. 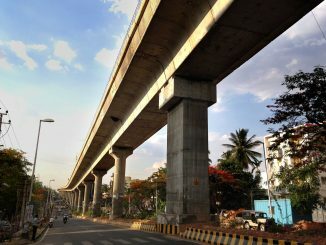 Rao, who previously held the post of Transport Commissioner and Director, Security, Vigilance and Operations at the KSRTC (Karnataka State Road Transport Corporation) says that a lack of imagination, coupled with a centralised approach, is what stops the administration from finding effective solutions to the transport nightmare of Bengalureans. Excerpts from his interview with Citizen Matters. How do you see electric technology working in the context of public transport? I have been advocating that every metro station should have an inter-land. For example, at the National College Metro Station, you should have mini buses constantly ferrying people from the narrower roads. So the moment you get down, your metro ticket/card should be valid in a BMTC bus also. If we have this system, who would want to bring their personal vehicles? Look around the world. Most well-heeled people prefer public transport/metro to save time. Even in Bangalore the ridership touches 5 lakh per day. Imagine if the Metro had to shut operations for two days? There’d be chaos in the city. But despite the increasing popularity of the Metro, we don’t seem to have had any real effect on road congestion. We have no parking policy, no pedestrian policy. So, what has impeded the success of public transport/the Metro, in your opinion? I use the metro quite often, besides walking a lot with my family. But the minute I step out of a station with my wife, we are hounded by auto guys who are there to fleece you. The entire stretch is dimly lit. If a lone lady is travelling, she would feel very insecure. Even somebody of my stature has to be careful and cautious, when I am walking with my daughter. Bangalore is a big city and it should not sleep. We need to have multiple safe options for last mile connectivity when we step out of metro stations. You either have buses to ferry this constant stream of people, or make amendments that will allow these e-autos to act as stage carriers and not as single unit carriers. In Delhi, they have e-autos which work in a loop outside of metro stations. Then, you have a system where these auto are personalised in a circuit. But previous public statements on e-autos from the Transport department have always said that they could not function as stage carriers, and that was the exclusive right of the BMTC in the city…? See, we have to break these kind of myths. We have to address people’s requirements. The monopoly of these markets worked when there were no players who came forward to be part of it. Now, what has happened is that in the absence of enforcement and efficient services, parallel illegal operations have been started by many players. For example, huge buses are running with their own bus stands and they are operating like stage carriers. They should be operating from point to point (according to the rule) but that is not happening. You don’t have the enforcement mechanism. So, open the market and collect taxes instead. That way you regularise and legalise the service and the state also gets revenue. These clandestine operations are on the rise and competing with regular stage carriers who in turn are running into losses. What we are essentially doing is that we are penalising the people by protecting public sector undertakings. The solution is thus to open up the markets. See how the KSRTC responded to competition. The BMTC has a monopoly in the city and we have to live with their complacence. These governance issues don’t need foreign technology to be sorted. These issues can be sorted by the locals and even citizens! (The administration) should step in for safety and make stringent rules. When we decided to rope in private dhabas to provide services to KSRTC (which was previously not the case) we put measures in place like these: dhabas would have a tall mast light that would be on through the night, provide clean drinking water, separate toilets for men and women among other things. You can’t keep falling back on old rules (to provide substandard services). Rules are made for citizens’ convenience and not the other way around. You privatise charging stations! Simple! Just as in the case of petrol bunks, work out a revenue mode in which private players can work. You are being friendly to the environment here. Look beyond rigid rules to see how citizens’ comfort can be catered to. Times are changing. People are willing to pay for immediate services. But (the problem is that) incompetence is driving policy. The hurdle that I see for something like e-autos as a last mile connectivity option is policy and mind set. Mind set first and policy second. Though the policy for electric vehicles and storage was anchored by the Department of Industries and Commerce to encourage manufacturers to invest here, nothing stops the Transport department from riding on the policy to encourage e-vehicles. It is like software. Bangalore is a great manufacturer of software but a poor consumer of it. The London Tube call centre is run from Bangalore! But we have no call centre for our own metro and railways! Everything seems to be in place on paper, and yet we have failed to lead from the front on this issue; why? Leadership is about making things easier and better for the smallest person. So instead of catering to the elite, we should work towards empowering those who are marginalised. This is a governance issue. It is the lethargy of our own bureaucracy combined with arrogance and corruption, and a lack of leadership to crack the whip against them. These things are not political. They are bureaucratic. It is the duty of the officers to tell the powers-that-be about why these are important measures. We should involve experts from the citizenry. Get people’s feedback. When you held positions with the Department of Transport, what were the alternatives that were being explored to address issues of pollution and connectivity? Bio-fuels were what we had explored. We had dedicated the Doddaballapur Depot as a bio-fuel unit where we bought Jatropha seeds (for oil/fuel) and tried to encourage the farmers (to grow them as well). But the problem with that was that our poor esterification process, which led to our diesel units getting clogged. Otherwise, I still believe that bio fuels are the order of the day. And now electric vehicles have made a huge presence in the markets. During my tenure as transport commissioner, I had championed the cause of making electrical vehicles tax free under the Motor Vehicles Act but that did not happen because we needed the revenue for the state. What is the future of the alternative fuel vehicles as you see it? If you remember, fuel prices were touching similar heights (about a decade ago) as we are seeing today. As transport commissioner my job was to raise revenues for the state and maximum number of cars were registered. At the time the only electrical car in the market was Reva by the Maini group. But look at the market now. Mahindra has taken over Maini and Reva, and come up with a four seater car. Toyota came out with Prius but they couldn’t get any subsidy or tax exemption. Tesla has come out with new models including a high powered electric truck. Other car manufactures like Nissan have come out with e-vehicles, as has Honda. The ridership of metro has been increasing everyday if one goes through the figures, because basically it is about time saving; connectivity is also expanding. Now if you step out of a metro station, the problem is that there is no provision made for parking for people who use it. So their vehicles have spilt out onto the road. By the way, Bangalore is the only mega city in the world which does not charge for parking. In other cities, exorbitant fees are charged for parking and it is one way of curbing personalised vehicles on the roads. There is a parking policy in the State Government, but it is yet to be implemented. But BBMP is not the lone stake holder of Bangalore Roads and these things need to looked at from the perspective of congestion, pollution and other factors. They (the BBMP) can be overruled . Parking fees are being collected, but they are being operated by parking mafias. So that’s where you see the problem going around in circles. We will not be able to solve this problem if we don’t break out of the shackles of archaic rules and unimaginative solutions. Why was the BRTS plan for Outer Ring Road killed? A recent meeting of various stakeholder groups arrived at a decision in favour of the Metro project on ORR. Akshatha M looks at the various deliberations that went on behind the scenes. Fight for your Right to Public Transport! 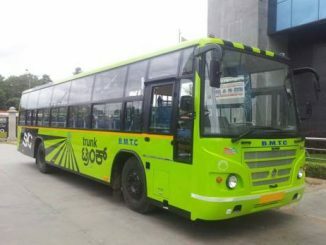 Enraged by an experience of having to pay an exhorbitant price to an auto, Shashank Kumar has started a petition that urges BMTC to extend buses till midnight. We the people who are interested in transporting people and goods read, hear, watch such highly placed officials and politicians give out opinions, advises, and predictions. Such useless ideas are copied/edited/ analyzed by the so-called journalists who get it published. If someone wants to make a cup of tea he/she must make sure all ingredients are available. KIAL, BMRCL are best examples. Nice to see one top official have his heart set on the right things like better facilities to the common man, linkage of public transport to last-mile connectivity etc. And he’s also acknowledged that private buses run as stage carriers within Bangalore in defiance of laws. His proposal is to regularise and legalise it – thus protecting the public and reducing corruption. Good to see at least one journalist who’s done her homework and asks relevant questions! Kudos to the IPS officer for the visionary and candid reality check and fine suggestions. But, the question is whether the politicians who control the fate of the country understand and appreciate what he states. Will the mafias who are part of the system permit authorities to implement what he proposes? 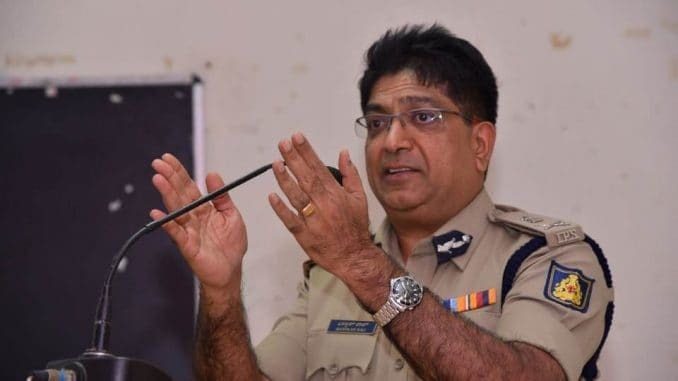 Officers such as Bhaskar Rao are meant to bypassed and ignored. This is the fate of all sensitized citizens too. Chaos is the order of the day.